One of the things that I absolutely love about 3D printing is that there are so-o-o-o many different patterns and models that are available for download. Look on Thingiverse or MyMiniFactory for video game weapons, Raspberry Pi cases, or just about anything movie or video game related and prepare to be inundated. You can find objects for practically any subject imaginable. Even several models of the W.O.P.R. from the original Wargames are available, which I thought would never be something that people would do. For a more practical example, one of my Asus routers didn’t have any wall mount options because it was designed to sit on a desk or shelf. Sure enough, someone who had the same router designed a wall mount and made it available on Thingiverse. As a member the first video game generation (when the Atari 2600 and Commodore 64 were new) I’ve been debating for a while about building a RetroPie setup to emulate some of the older consoles. The push to do this finally came when Sony announced their PlayStation Classic mini console … for a staggering $100 price tag. That’s $20 more than Nintendo’s competing NES Classic Edition and Super NES Classic Edition. At that point, I decided that the time for a RetroPie setup had come. 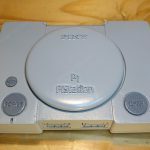 Out of a combination of spite and curiosity, I looked to see if anyone had made a Raspberry Pi case that looked like the original PlayStation. Lots of cases are clearly influenced by the original PlayStation design, but none were to scale. I do understand why. A lot of the love for the Raspberry Pi is the tiny size, so the vast majority of cases are made to fit the Pi and be as small as possible while showing the influence from the original console. Look for any Atari 2600, NES, or SNES cases that are made for the Raspberry Pi to see what I mean. But even with all of the PlayStation-influenced cases that are out there, I was unable to find a “genuine” PlayStation case. Having some experience in Tinkercad, I decided to push myself out of my comfort zone and see if I could make a Raspberry Pi case that is to scale with the original PlayStation. Using multiple images that I found online plus the dimensions of the original PlayStation, I set about my task of shrinking it down enough to fit a Raspberry Pi and remain to scale with the original. And I’m very pleased with the results. I tried to replicate the PlayStation model SCPH-1001 as much as possible, all the way down to the vent design, housing screw locations, and support feet on the bottom. 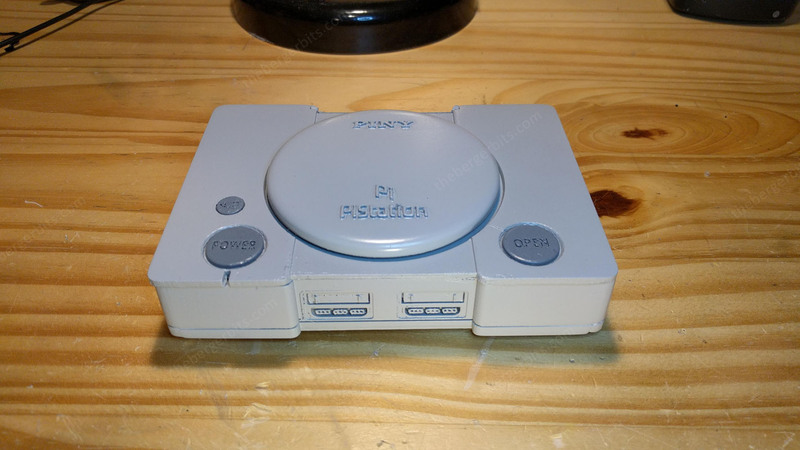 So this is about as accurate to the original PlayStation as I could make it, given the size limitation and the possible resolution of a .4mm 3D printer nozzle. I even counted the number of ridges on the sides to get that count as accurate as possible. Don’t judge me! This is how I get when I try to be accurate. To be totally honest, I don’t really care that much about playing retro games. I might have my moments of nostalgia, but I don’t have any burning desire to play retro games on a regular basis. Many of the more popular ones are already available through Steam anyway. So building a RetroPie or similar setup would probably be a bit of a waste unless I make a full-sized cabinet. (This, too, is on my “must do” agenda.) I did this mostly because I wanted to see if I could do it. And to that goal I think I can safely say “mission accomplished”. If you have a 3D printer and want to print this on your own, you can get it from either Thingiverse or MyMiniFactory (still needs to be verified as of the publishing date). I also included a PDF with step-by-step assembly instructions. If you do manage to print this, I’d like to see it! I still think that printing this off in a semi-transparent blue with some LEDs would be amazing, but that’s just me.